Through Art Gallery of Western Australia collections and programs we offer visitors exciting encounters with the art of Western Australia, Australian Indigenous art and the art of the world. The Art Gallery of Western Australia, founded in 1895, occupies a precinct of three heritage buildings on the south-eastern corner of the Perth Cultural Centre. 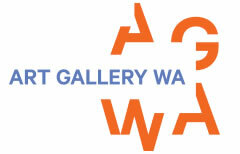 The Gallery houses the State Art Collection, which includes one of the world's finest collections of Indigenous art, the pre-eminent collection of Western Australian art and design, as well as Australian and International art and design.